This is a welcome book on many counts, not least when considering the Nazi-era historical baggage of the term “stormtroops.” The German tactical concept of stormtroops played an instrumental role in solving the deadlock of trench warfare on the western front. Germans also trained their allies, and the concept became widespread and employed in distant theatres including Syria-Palestine. However, the term became a rallying point for German far-right militias after the end of war, thereby destroying the military image and heritage of this ingenious tactical concept. Mr. Wictor deals with his topic successfully, without getting entangled with postwar political issues. German Assault Troops of World War I is obviously the product of a research-intensive effort, but it is written to reach a broad audience. In addition to very readable prose, every second page includes several photographs or contemporary illustrations of the German stormtroops, their weapons, and equipment. Books in this format are often disappointing because they tend to present information in a disjointed manner by closely following the illustrations. 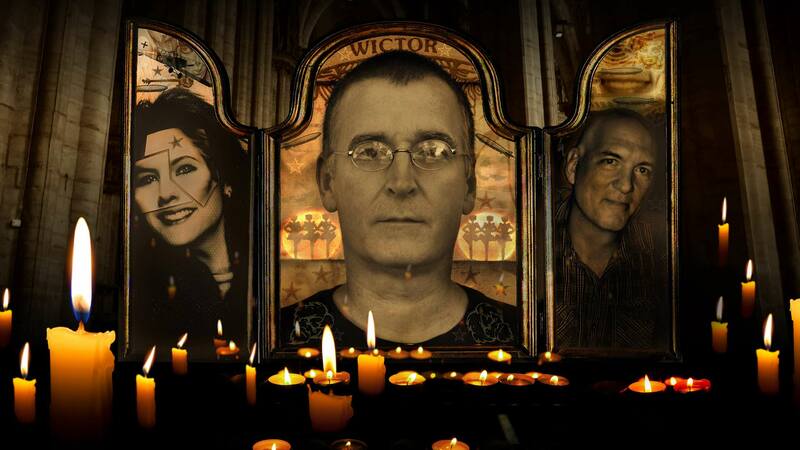 However, Mr. Wictor manages and coordinates photos and text skillfully. In short, this book is probably best study that any reader could find on German stormtroops of the First World War in this format. Highly recommended. Few works have drawn together the volume of original photographs, extracts from contemporary military manuals and small-unit level tactical insights as Mr Wictor’s book has done. I therefore think that there’s a worthy place on the shelf for German Assault Troops of World War I, filling a niche that isn’t really covered by the other standard works. The most comprehensive study of German ‘stoss’ or storm troopers of the Great War in English, this immensely detailed book details previously unknown badges and insignia; training manuals; weaponry; and tactics used by these formidable soldiers. 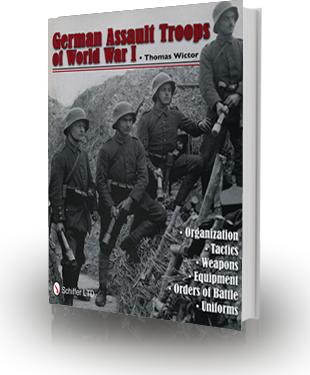 German Assault Troops of World War I: Organization, Tactics, Weapons, Equipment, Orders of Battle, Uniforms is the most important book on the development of German assault tactics, units and culture yet authored. It is an extraordinary labour of scholarship, published in large format and presented in a refreshing, un-sensational and innovative way. It promotes new evidence and persuasive arguments on the true nature of the German Army and its offensive endeavours in 1914-18. I urge anyone with the remotest interest in these matters to get or read a copy. An impressive and detailed work about German army assault troops during World War One by author Thomas Wictor. Through the book a reader can easily understand development of the assault troops during the four year of war starting with the “grassroots” and ending at a more comprehensive level. Different kinds of assault units, tactics, equipment and innovative military personnel are presented at the same time as the overall working process of the German army regarding the top-down and bottom-up knowledge developments. Usage of German military sources from the relevant period makes the book an authentic piece of work, since spirit of the time is presented for those who want to understand the topic more deeply.